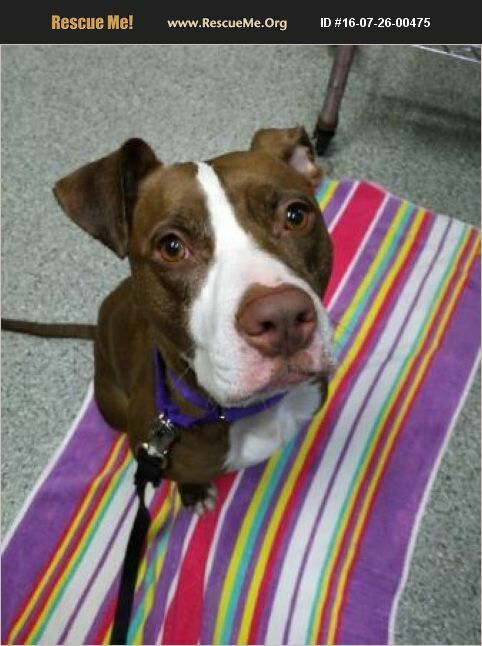 Gorgeous Gala is the gregarious gal for you! Gala is a two year old German Short-haired Pointer/Pit Bull mix who came to ACL as a stray, and we're all in love! Gala is an intuitive, emotional, loving dog who transformed into a couch potato the minute she went into foster care!Her foster dad reports she's so loving, playful, and affectionate. She loves to investigate and run around, and she'd love a home that has work for her to do in the morning and snuggling to do at night! Gala is a fetch master - she can almost turn circles in the air when she catches the ball! She'd love a home that had interest in doing some fun stuff like training as well as lots of cuddle time. Gala is not comfortable with other animals at this point, but she may be able to work through that with the right adopter. Gala needs a home with dog experience and children 10 and up. Email Gabrielle at caninemanager@animalcareleague.org for more info on meeting Gala in person.